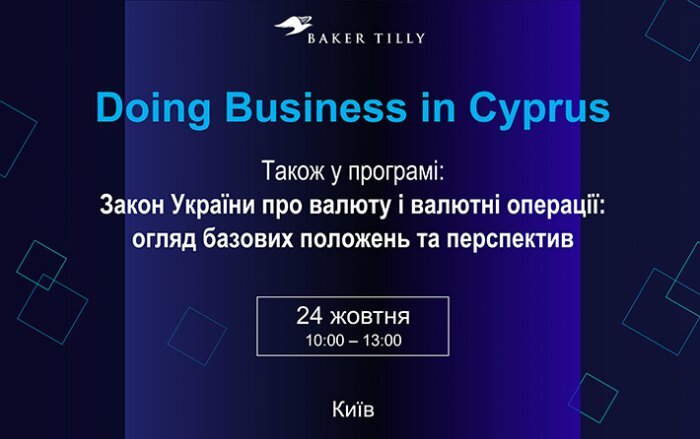 On the 24th of October representatives from Baker Tilly in Ukraine and Cyprus will discuss key issues of doing business in Cyprus. Beneficial ownership concept and requests for exchange of information by the tax authorities. Treaty shopping and the principal purpose test for the use of a double tax treaty. Implementation in Cyprus of the EU Anti-Tax Avoidance Directive. Ukrainian Law on currency and currency transactions: basic regulations and prospects review.